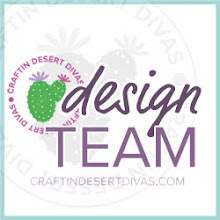 Hi everyone, DT member Jeanin here with my last post as a design team member for Craftin Desert Divas. I've decided to step down for the upcoming term but I had such a wonderful time at this incredible and talented team! For my final card I created a rather unusual one for this time of year. But I guess everybody needs some cooling down during these hot summer months. I printed these cute penguins on some mix media card stock and colored them in with Zig markers. I decided to create a distressed background using different shades of blue. 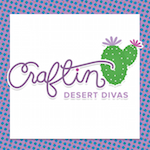 I then die cut the distressed card stock with the medium square of the Inside Scalloped Square dies and keep both the frame as well as the inside piece. Using some foam tape, I adhered the square on a standard white card base and also adhered the penguins in the center. To finish off the card, I stamped the sentiment "Wishing you a lifetime of happiness" with black ink below the square. I hope you enjoyed this last card from me. Have a great day!